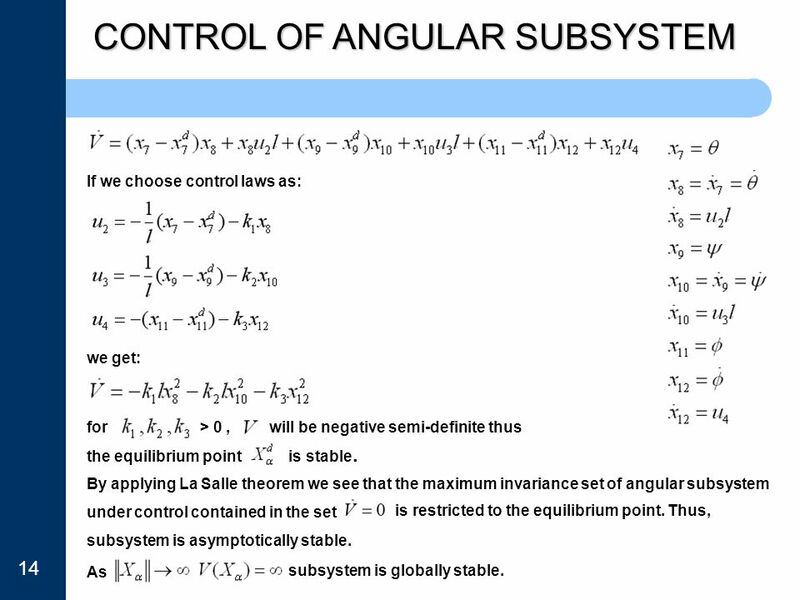 If we choose control laws as: we get: for > 0 , will be negative semi-definite thus the equilibrium point is stable. 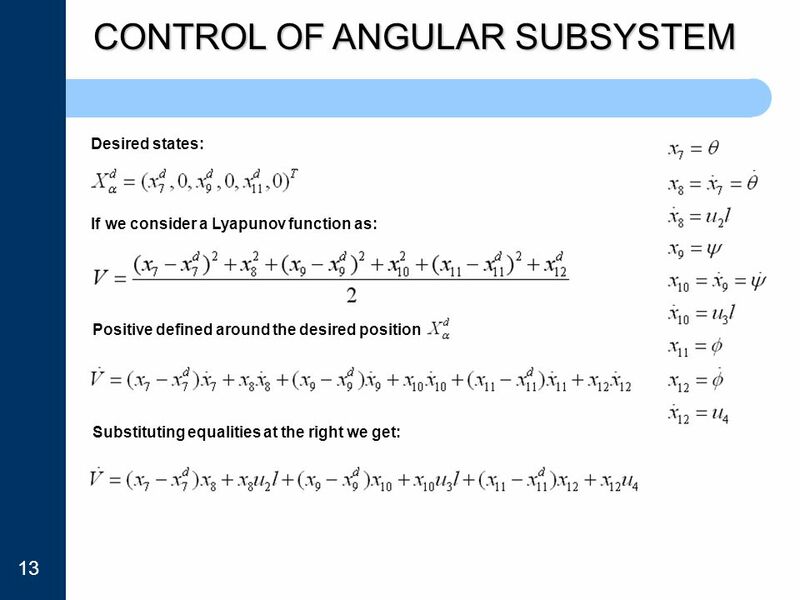 By applying La Salle theorem we see that the maximum invariance set of angular subsystem under control contained in the set is restricted to the equilibrium point. 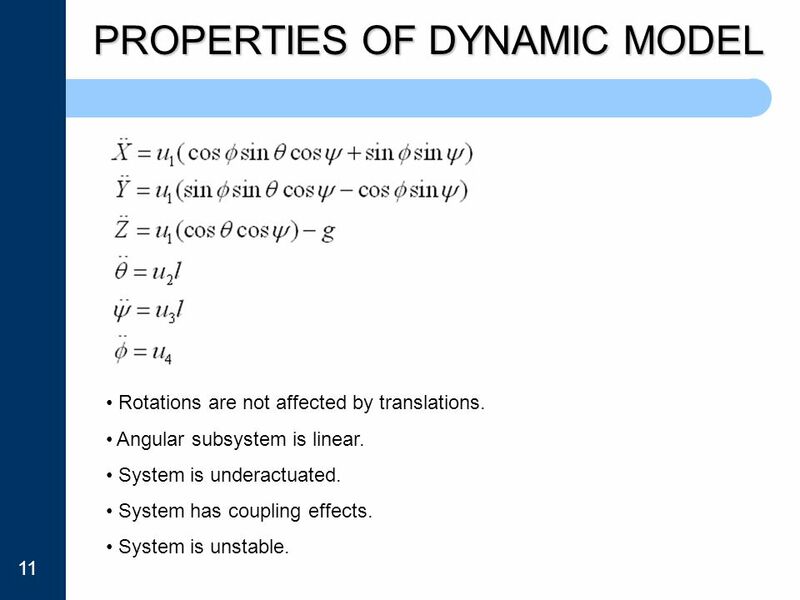 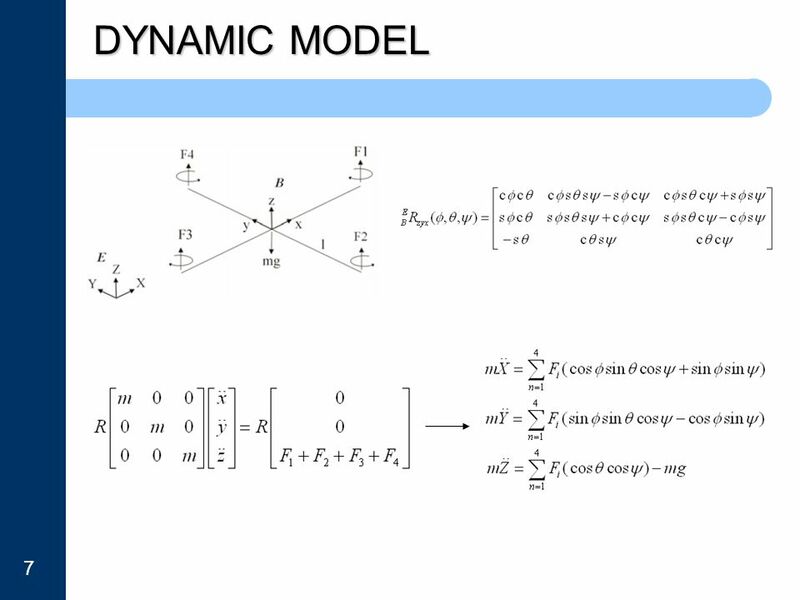 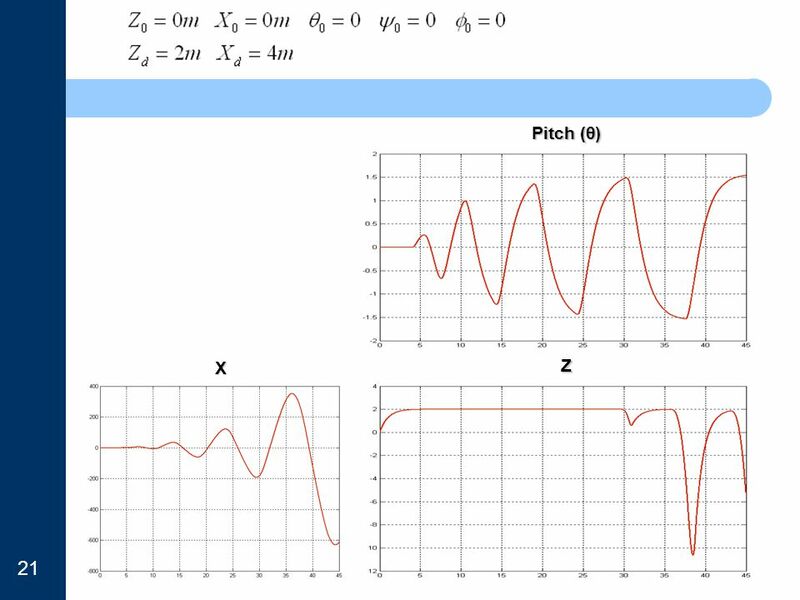 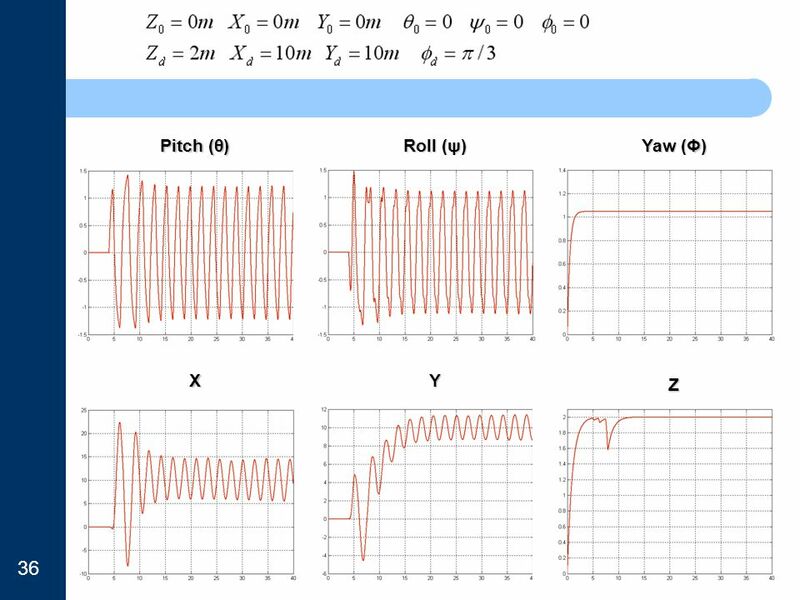 Thus, subsystem is asymptotically stable. 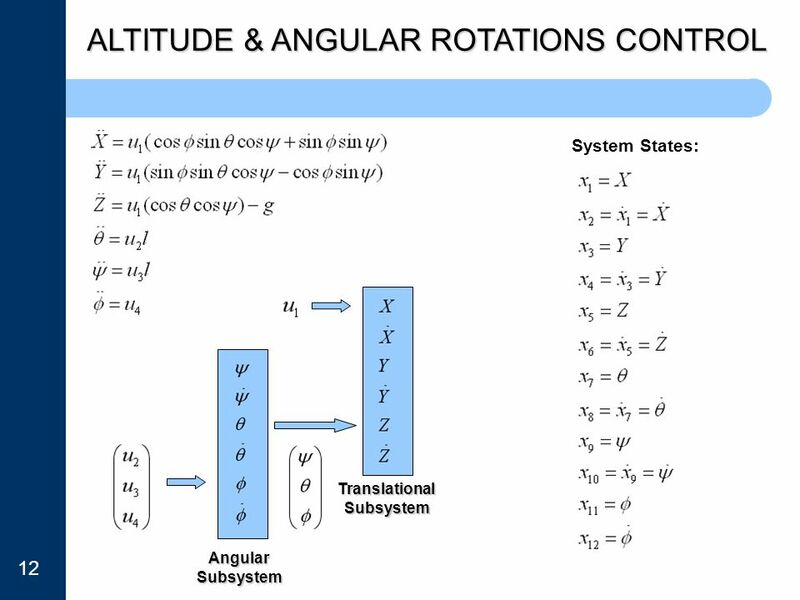 14 As subsystem is globally stable. 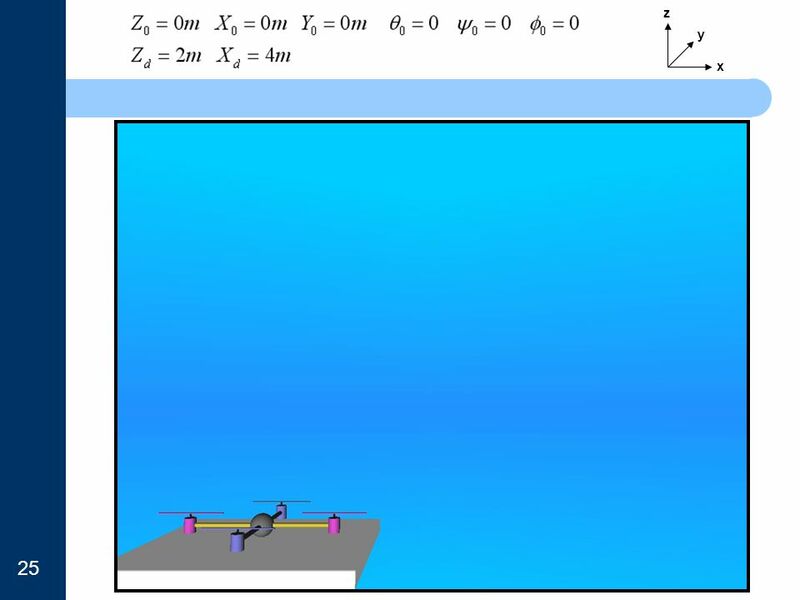 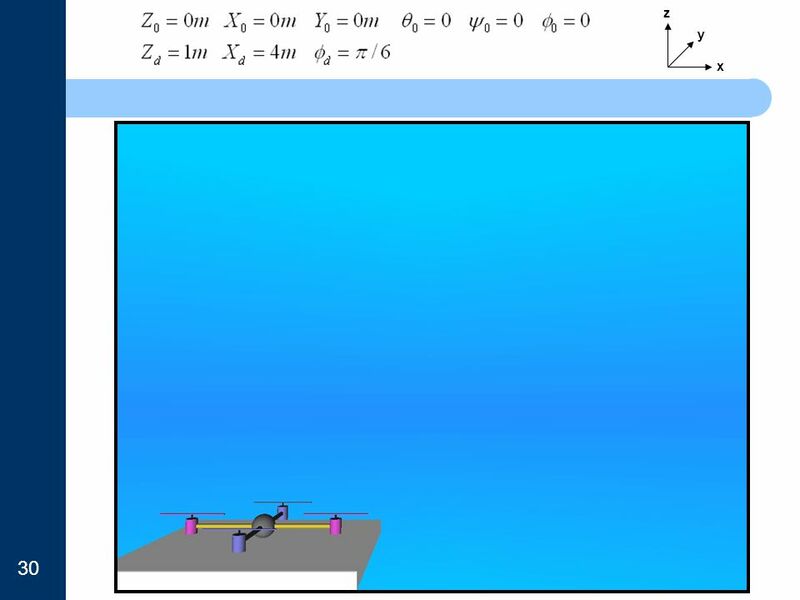 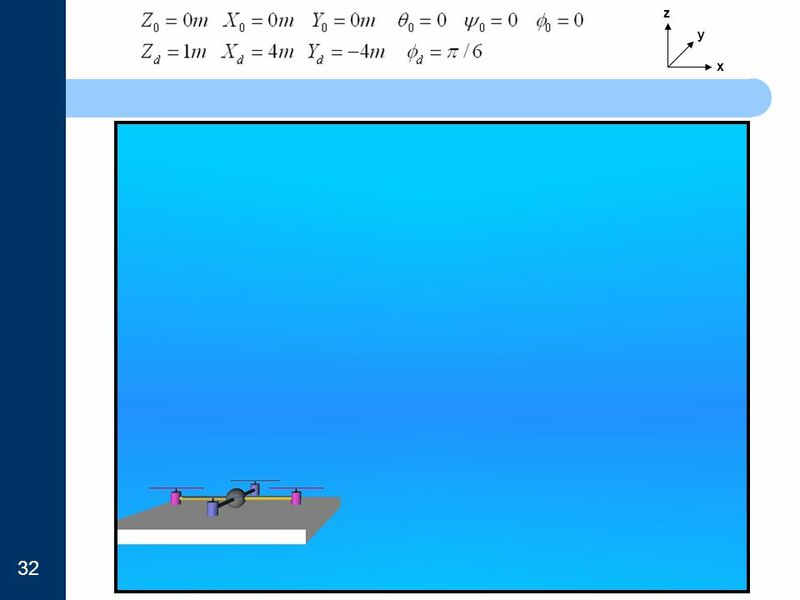 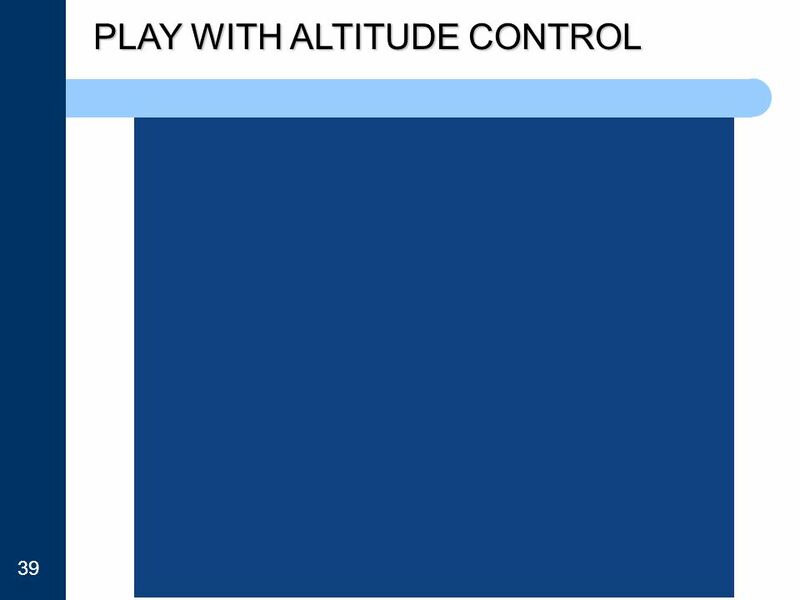 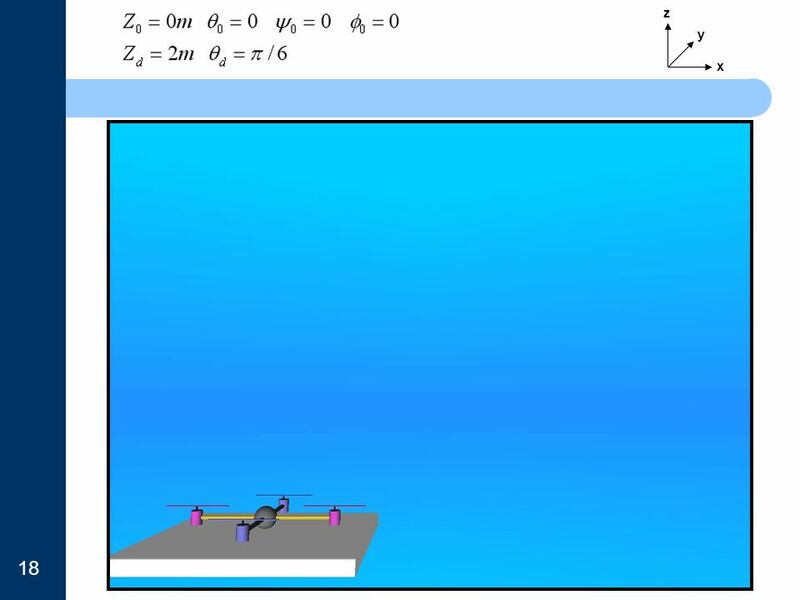 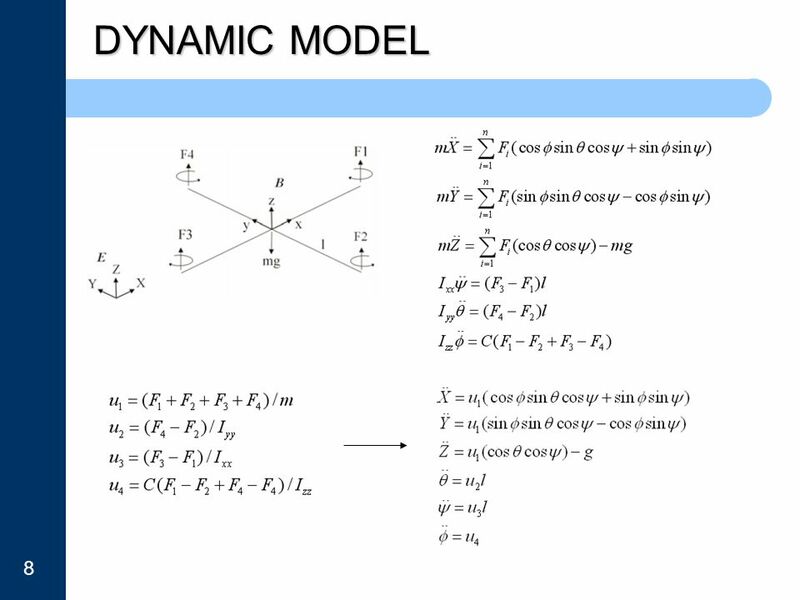 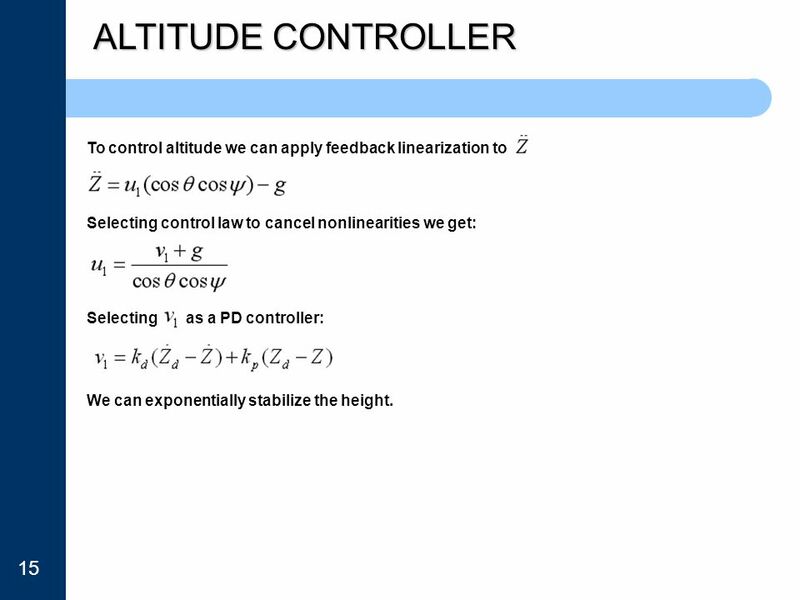 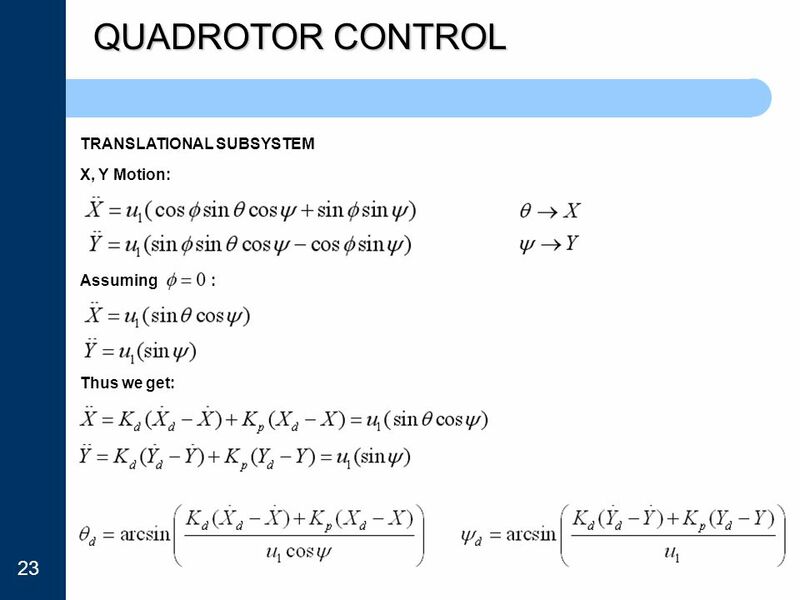 Download ppt "Nonlinear Control of Quadrotor"
Abstract Since dawn of time humans have aspired to fly like birds. 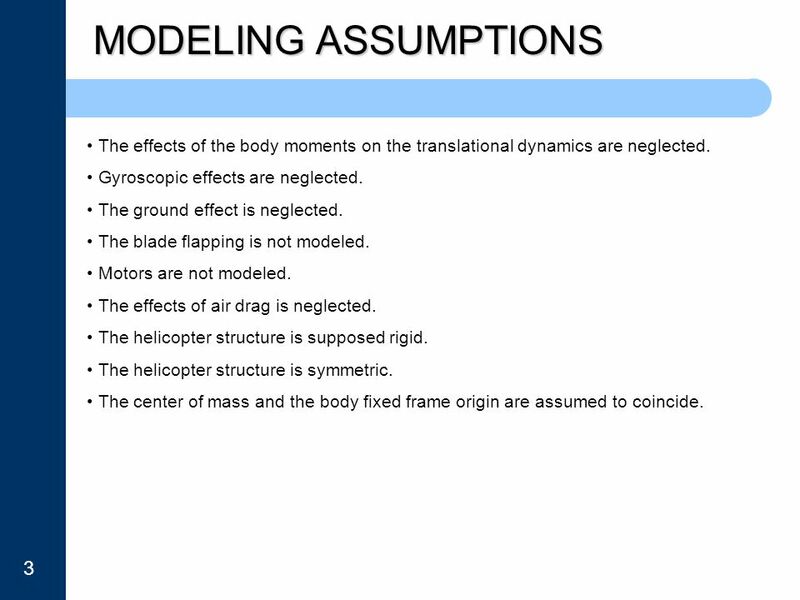 However, human carrying ornithopter that can hover by flapping wings doesn’t exist despite. Control on the ground ATC Chapter 2 & 3. 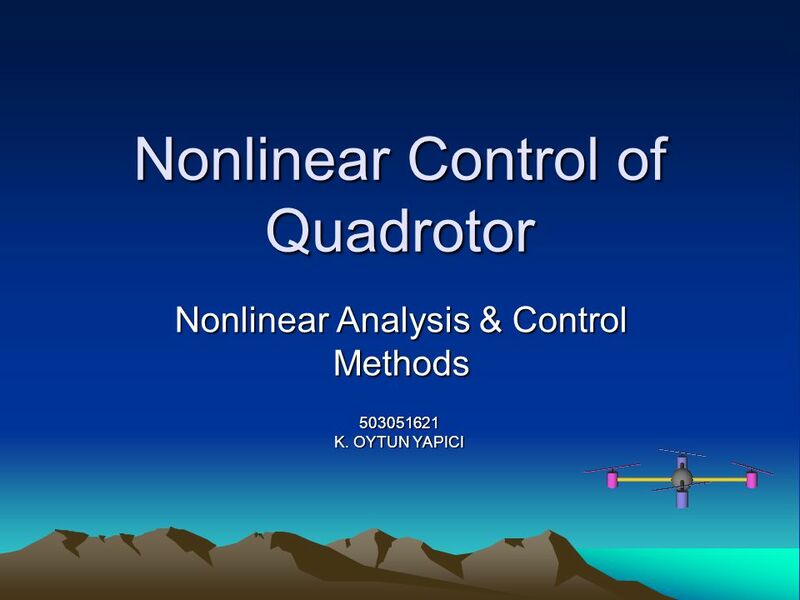 Fuzzy Logic Control of Quadrotor Intelligent Systems & Soft Computing K. OYTUN YAPICI BİRKAN TUNÇ. 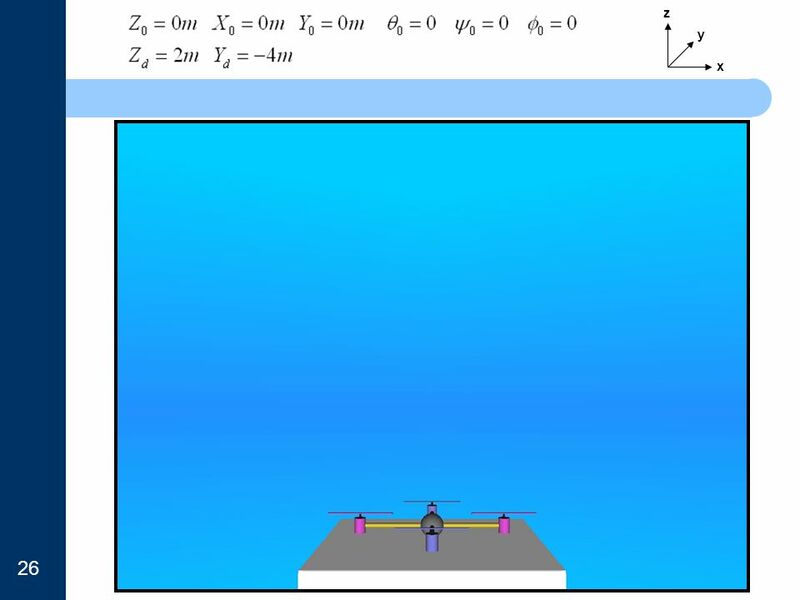 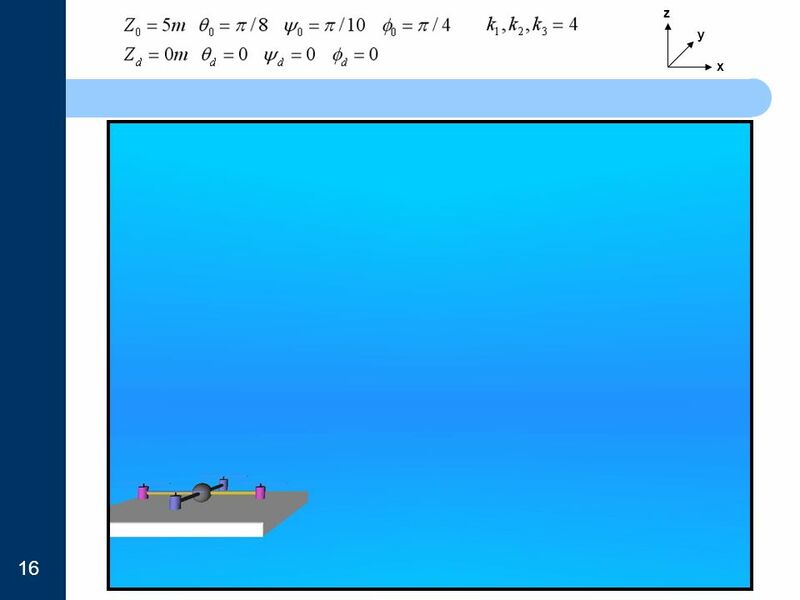 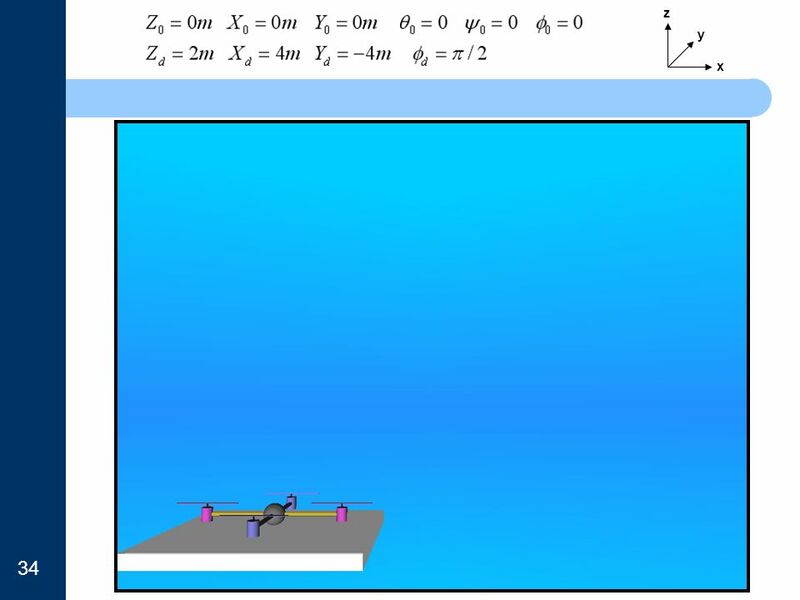 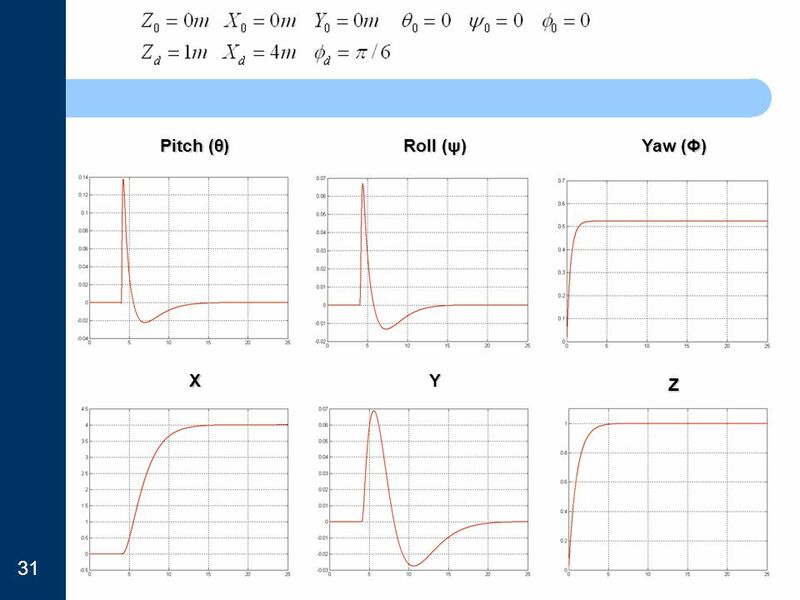 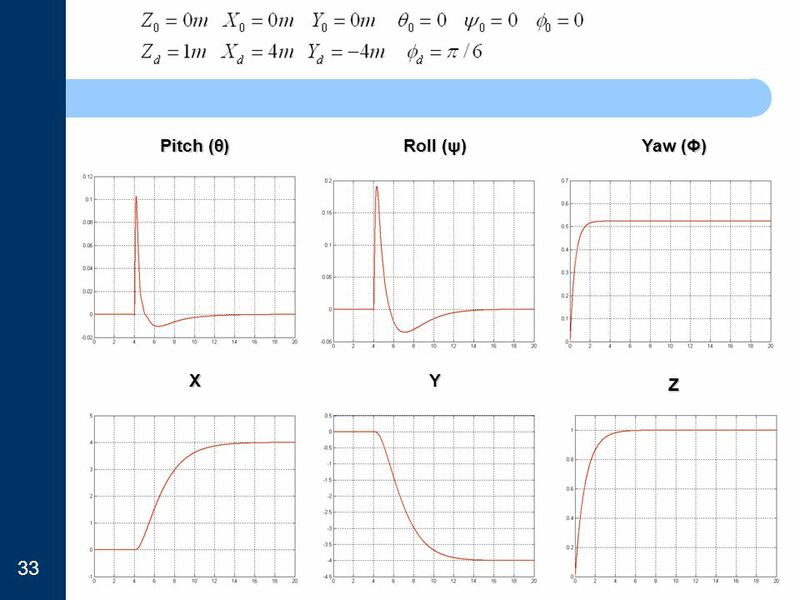 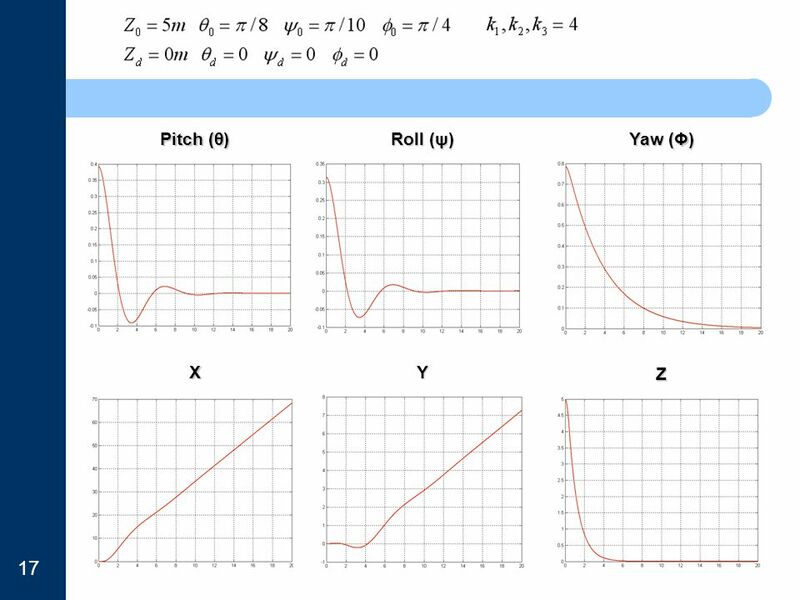 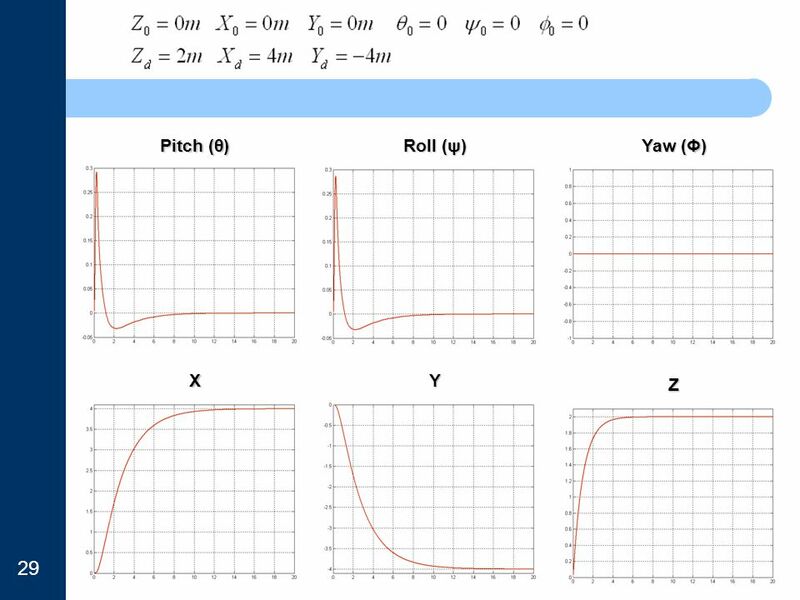 Rolling, Torque, and Angular Momentum Rolling: Translation and Rotation Friction and Rolling Yo-yo Torque: A Cross Product Angular Momentum Newton’s Second. 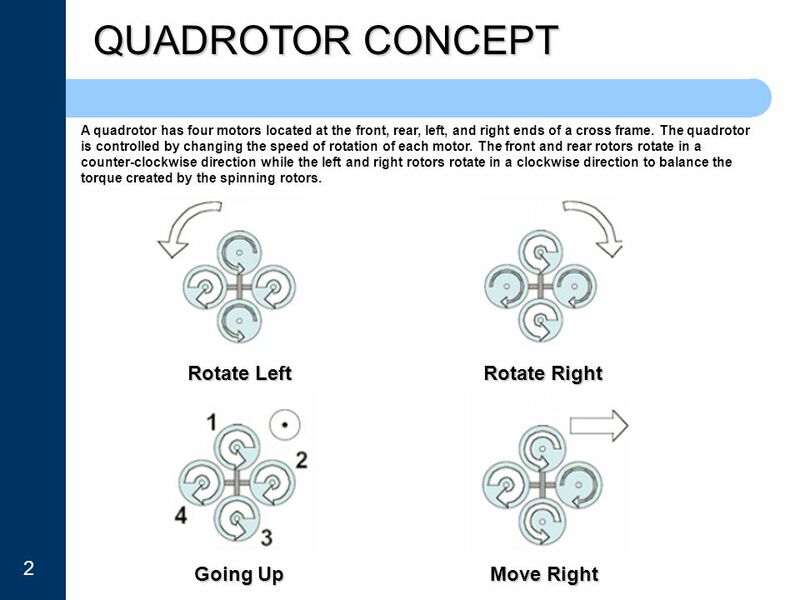 How to Build Practical Quadrotor Robot Helicopters Paul Pounds DERF 08. 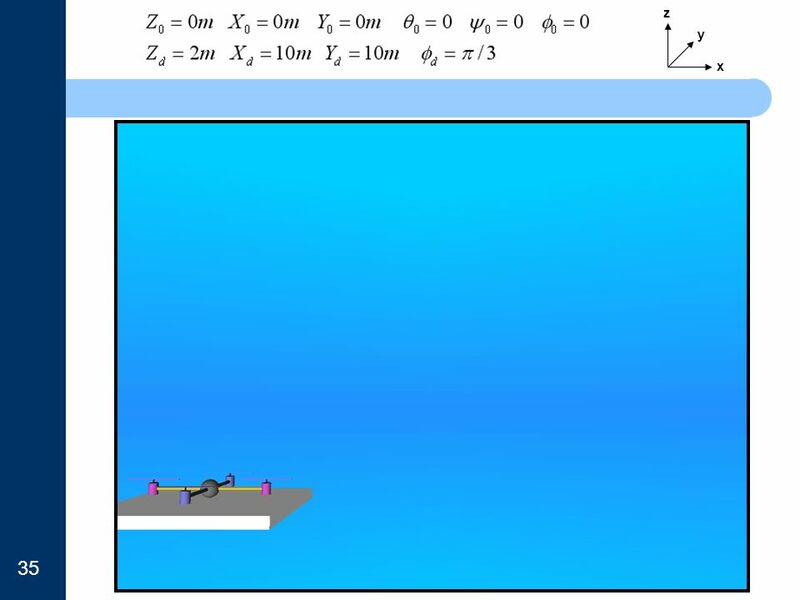 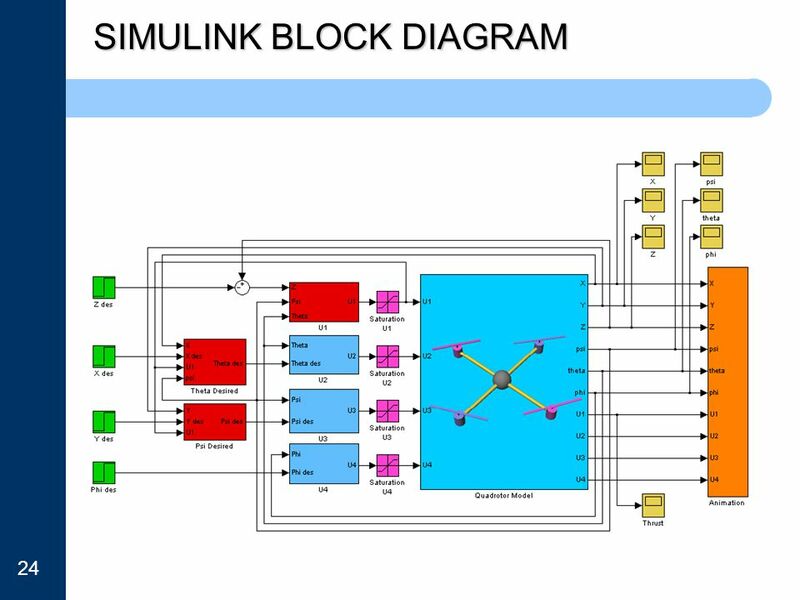 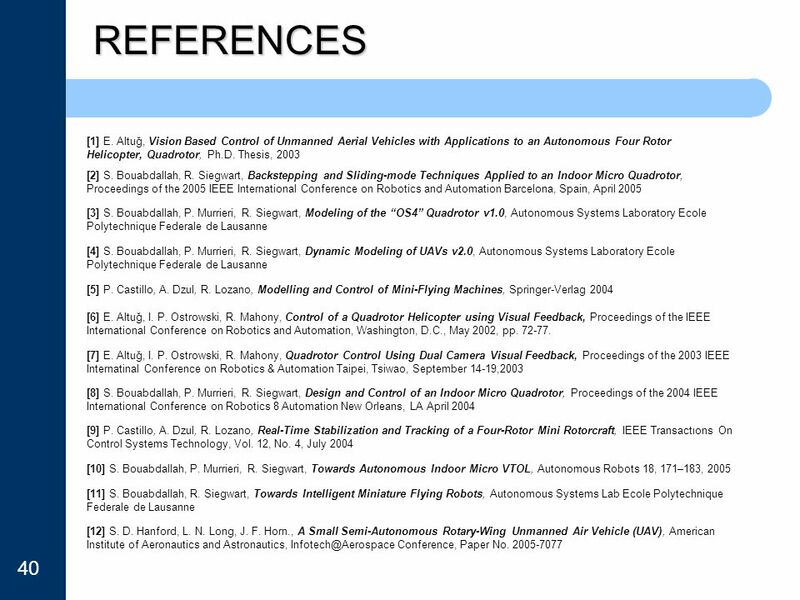 Design of Attitude and Path Tracking Controllers for Quad-Rotor Robots using Reinforcement Learning Sérgio Ronaldo Barros dos Santos Cairo Lúcio Nascimento. 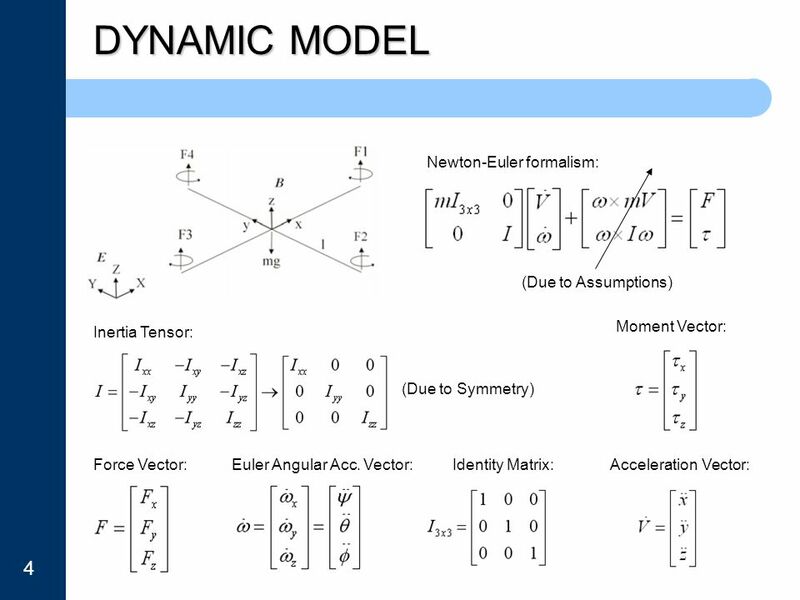 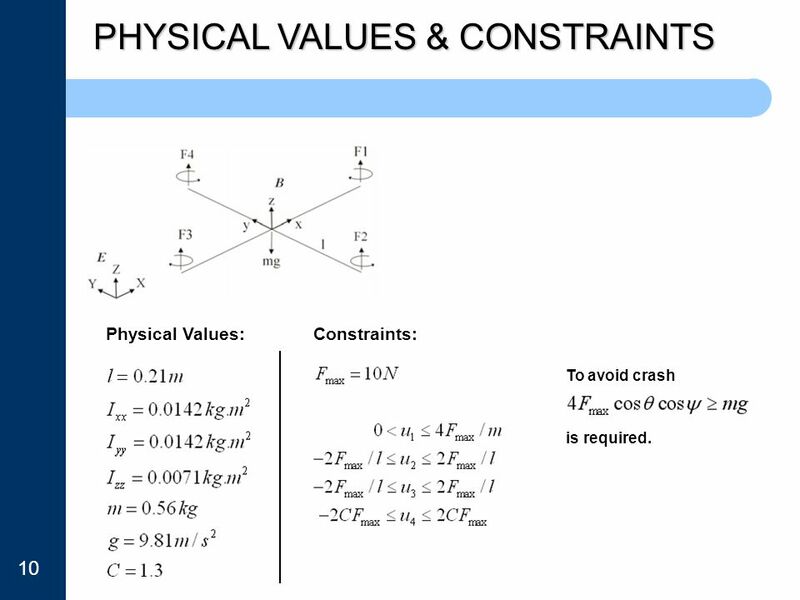 Physics 111: Mechanics Lecture 10 Dale Gary NJIT Physics Department. 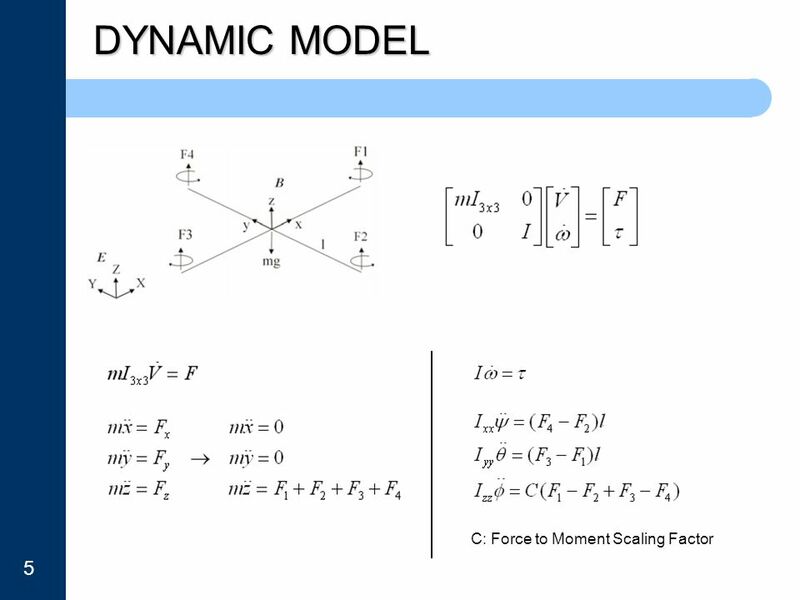 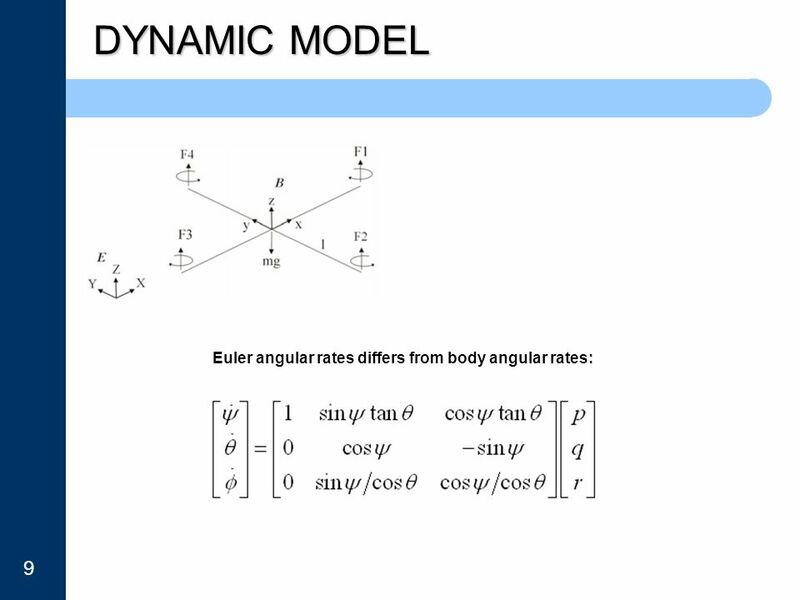 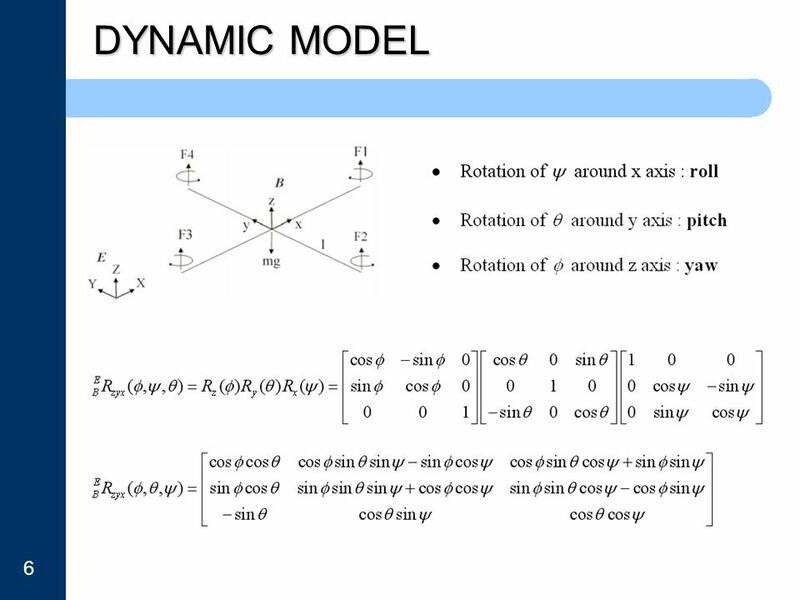 Rotational Dynamics and Static Equilibrium. 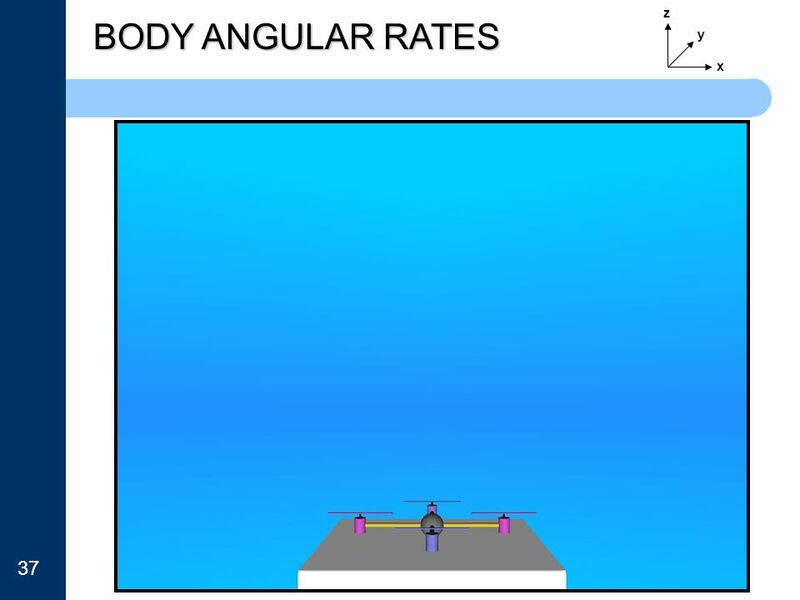 Torque From experience, we know that the same force will be much more effective at rotating an object such. 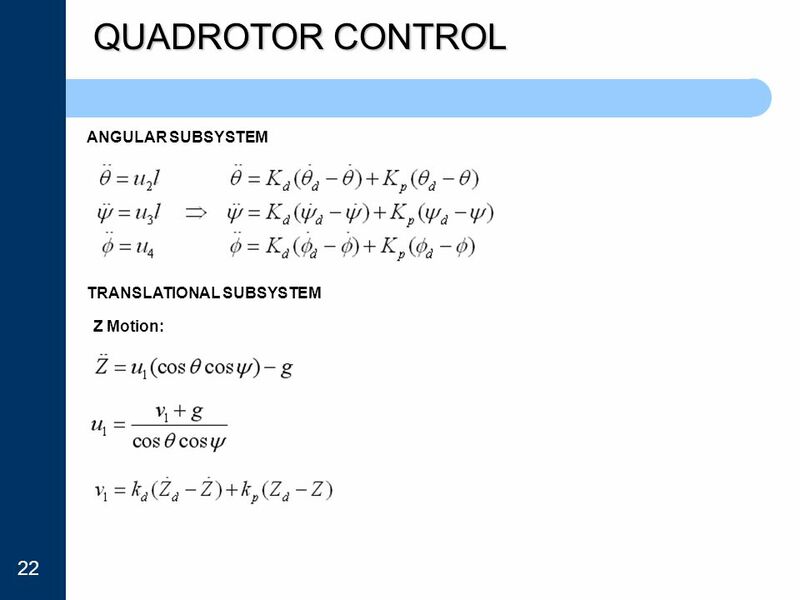 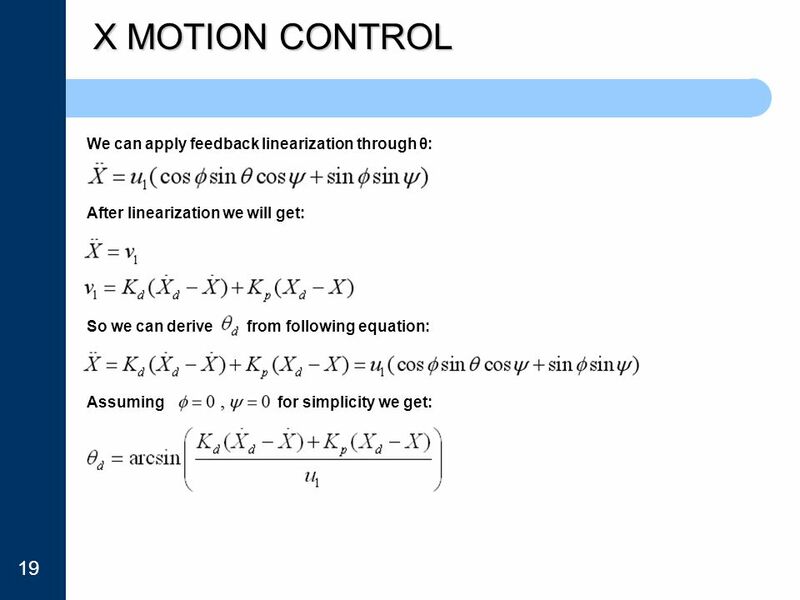 Chapter 8 Rotational Equilibrium and Rotational Dynamics. 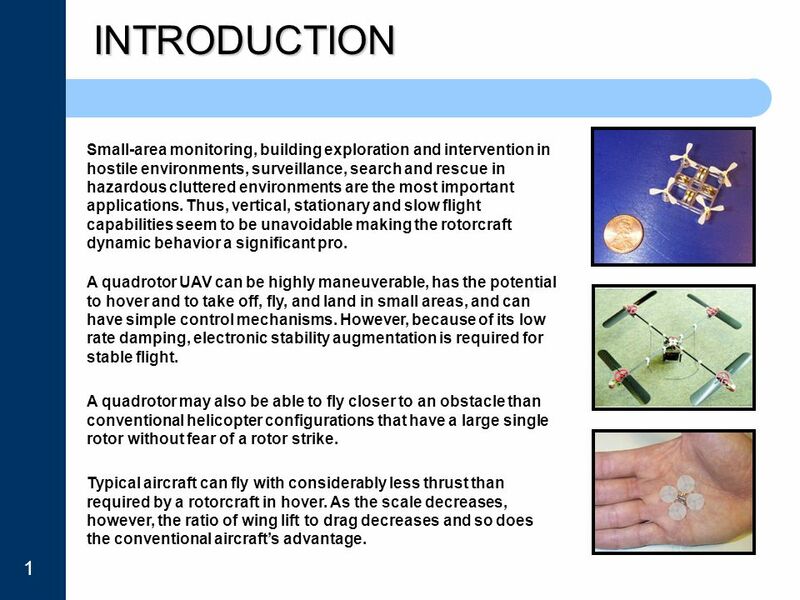 Control Science Center of Excellence Overview 17 Oct 2008 Dr. David B. Doman Control Design and Analysis Branch Air Vehicles Directorate Air Force Research.